Framing the question is vital to persuading any one person to your point of view. Imagine how important it is to winning over a culture. For decades the popular culture and media has imposed its redefinition of unborn life on the population at large. It's a fetus, they say, a blob of cells, potential life at best. We just don't know until it's born. Up until then it ain't nothing — and, in some, sadly, not-so-extreme-circumstances — even after then. That train of thought desensitized people toward the taking of innocent, unborn life; thus, in large part, influencing people to indifference toward the culture of death. not my concern what a woman does with that blob in her body. Fortunately, as this New York Times article reports on its and other organizations' most recent polling, the tide is (and has been) turning ever more quickly toward a pro-life culture. One reason is that the framing of the question finally has changed and people, especially younger generations who did not live through so-called "cultural liberation revolutions" of the 1960s and 1970s (and into the 1980s), have different answers. Let's put it that way from now on, even as more and more people understand this now, and are living their lives as witness to it. 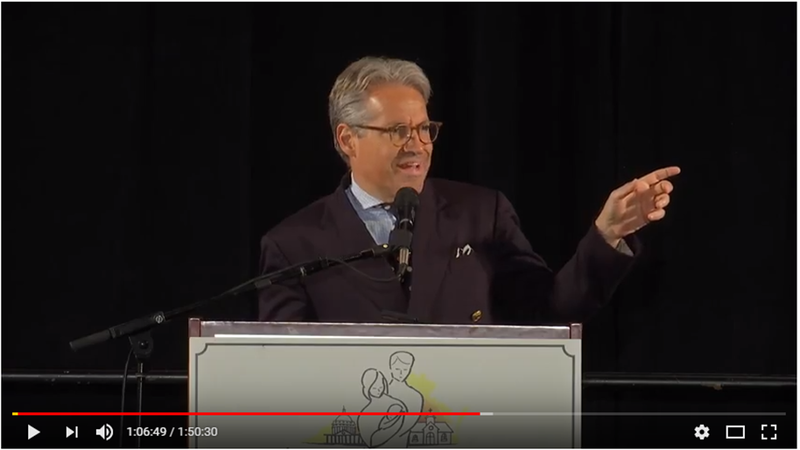 As Curtis Martin, the founder of FOCUS (Fellowship of Catholic University Students), says, we can either be thermometers or thermostats (see short video). Thermometers reflect the temperature. Thermostats affect the temperature. The pro-life movement must continue the hard work of affecting the culture until it transforms from a culture of death into a Culture of Life. While the Secular Left has successfully redefined (i.e., lied about) Life (and marriage), people of faith must counter by reframing the question(s). That's how to expose those those lies and instigate people into thinking anew.